The Italians are coming! Next year look out for the release of the Italians in TANKS! The Italians will be getting two tanks, both cheap in points and easy to form deadly tank swarms! 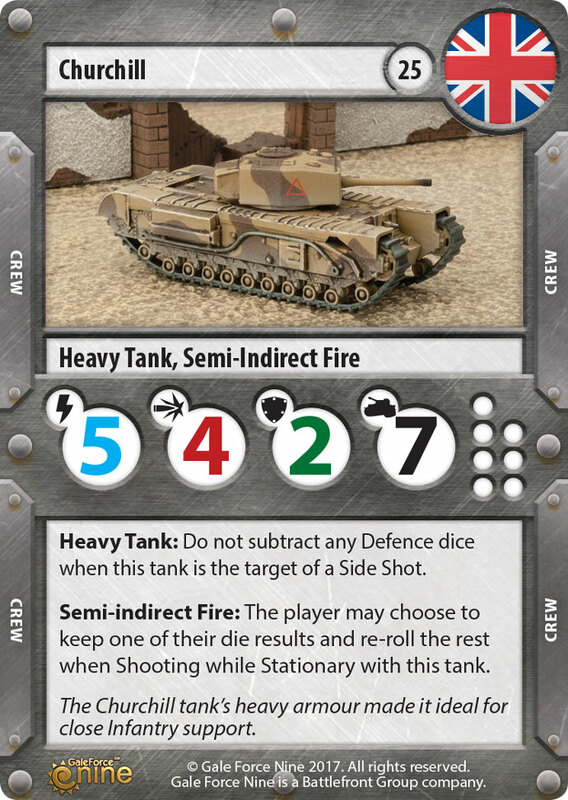 With their release we will also be adding allied cards that allow both German and Italian tanks to mix in the same platoon. The British are not done yet next Year we will see Valentine and Churchill tanks.The Valentines will be interesting medium tanks with a lot of hit points. The Churchill tanks will come in two releases, the Africa release will have the normal Churchill tanks and the Churchill CS that will have the Artillery rules. The Churchill tanks bring heavy armour to the British armies with Defence of 2 and tons of hit points. Later in the year we will be releasing the Churchill’s that show up later in the war. Along with cool new tanks we have some new Organized Play Seasons for you to play, fight next the large desert forts then we go to the eastern front. We have loads of cool things instore for next year and we can’t wait to share them with all of you. Thanks for playing TANKS with us!